So nice to see your lavender has settled there and it looks healthy and happy. 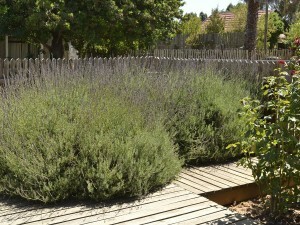 I know that the particular lavender I have in my front garden is a very hardy variety. I think it was actually developed by Margaret Roberts – I will have to do some research on that. I wanted my front garden to just be roses and lavender – I wanted the beautiful aroma when you brush past the flowers and the air around you just fills up with this wonderful perfume. AND the added benefit of it being a healing plant. There are so many wonderful things you can do with lavender. I love plants that are healing and beneficial to us. Did you know : Crush fresh lavender between your fingers or rub lavender oil on your temples for a soothing dose of aromatherapy stress relief. 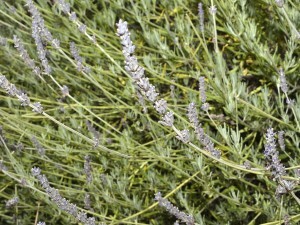 Lavender relieves anxiety and tension naturally and is soothes pain too. 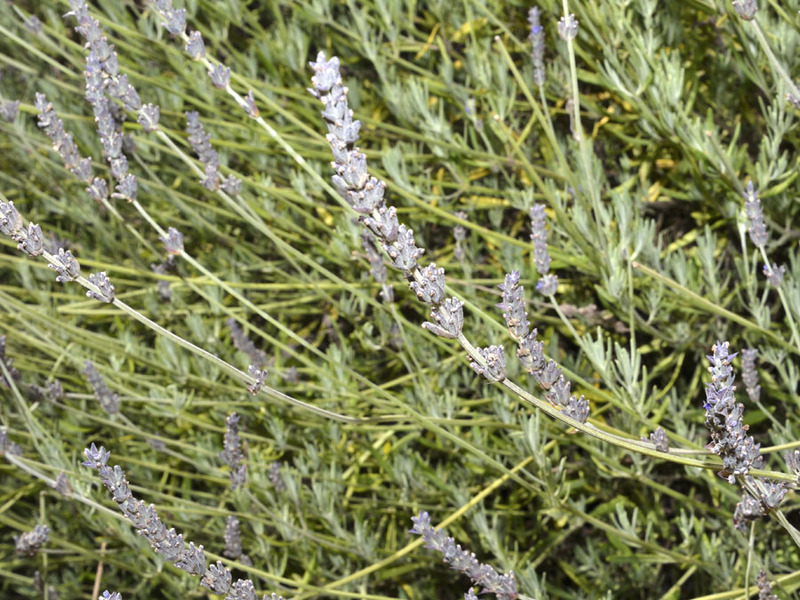 Lavender has natural antiseptic properties. When I planted them 2 years ago the Dutch lavender and the French lavender did not do well in the full sun and heat that we have here. So I know that some lavender is more delicate than the hardy & robust lavender that I have. These also grow really huge – as you can see in the photos. They need cutting back in winter and thinning out too because they are prone to mildew infections. They don’t look very nice when you chop them down but you benefit from them in spring when they just go nuts!! I love lavender!!! I think they know that! One of my lavender plants has something strange going on on it – I’ll show you next time you are here – I was wondering what it is – maybe its mildew? Its kinda grey in the middle of the plant? What causes that? It sounds like mildew – they are prone to it, I’m affraid. I know mine starts in autumn/winter time when it’s damp and the one lavender bush is completely in the shade of the house in winter. Maybe if you are watering in the late afternoon/evening the plant does not have time to dry out sufficiently. Try watering in the morning. How often do you cut them back and by how much? Thank you so much! They are still looking stunning, despite the heat & wind. I will cut them back at the end of summer. I will thin the branches at the bottom to let in more air to prevent mildew. That is about the only cutting I do – except to gather tons and tons of flowers for my home! I’ll bring some when next I come to you, ok?